In recent years, a recurring highlight in my existence has been the opportunity to walk from Spitalfields through Hoxton and along the canal path up to Islington to enjoy a light lunch with the sublimely elegant novelist Nina Bawden, who lives in an old terrace backing onto the canal and whom I consider it a great honour to count as my friend. I first met Nina when I took my copy of “Carrie’s War” along to a bookshop and queued up with all the hundreds of other children to have it signed by the famous author. She appeared to my child’s eyes as the incarnation of adult grace and authoritative literary intellect, and it is an opinion that I have had no reason to qualify, except to say that my estimation of Nina has grown as I have come to know her. Years after that book signing, Kaye Webb, Nina’s editor who had encouraged my own nascent efforts at writing, rang me up at six-thirty one evening to say she had just remembered Nina and her husband Austen Kark were coming to dinner that very night and she had nothing to give them. At this time Kaye was over eighty and housebound, so I sprinted through the supermarket to arrive breathless at Kaye’s flat beside the canal in Little Venice by seven-thirty – and when Nina and Austen arrived at eight, dinner was in the oven. They were an impressive couple, Austen (who was Head of the BBC World Service) handsome in a well-tailored suit and Nina, a classically beautiful woman, stylish in a Jean Muir dress. I regret that I cannot recall more of the evening, but I was working so hard to conceal my anxiety over the hasty cuisine that I was completely overawed. Naturally, in such sympathetic company, it all passed off smoothly and I only revealed the whole truth to Nina last year when Valerie Grove was writing her biography of Kaye Webb, “So Much to Tell,” to be published by Penguin in May. 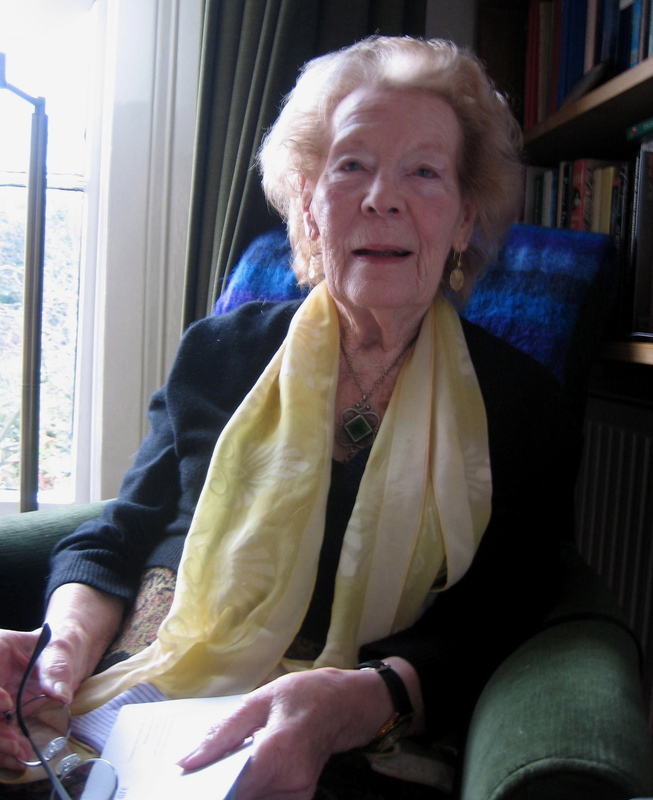 Born in East London in 1925, Nina was evacuated during the blitz and then became amongst the first of her post-war generation to go up to Oxford. At Somerville College, she had the temerity to attempt to persuade fellow undergraduate Margaret Thatcher (Margaret Roberts as she was then) to join the Labour Party, that enshrined the spirit of egalitarianism which defined those years. Even then, young Margaret displayed the hard-nosed pragmatism that was her trademark, declaring that she joined the Conservatives because they were less fashionable and consequently, with less competition, she would have a better chance of making it into parliament. The catalogue of Nina’s literary achievement, which stretches from the early fifties into the new century, consists of over forty novels, twenty-three for adults and nineteen for children. A canon that is almost unparalleled among her contemporaries and that, in its phenomenal social range and variety, can be read as an account of the transformation brought about by the idealistic post-war culture of the Welfare State, and of its short-comings too. 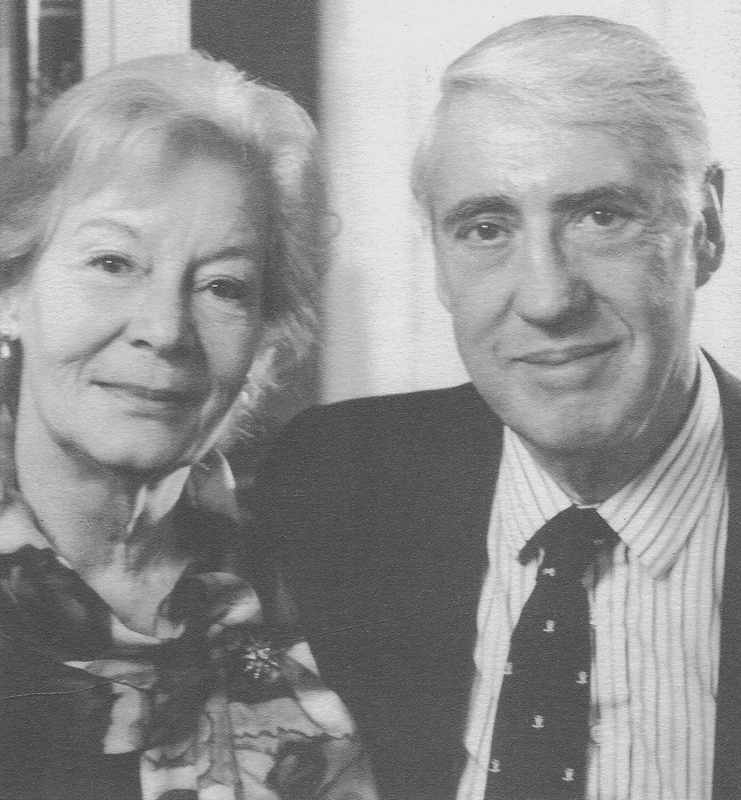 Nina met Austen, the love of her life, by chance on the top of a bus in 1953 when they were both in their twenties and married to other people. They both divorced to remarry, finding happiness together in a marriage that lasted until Austen’s death in 2002. At first,they created a family home in Chertsey, moving in 1979 to Nina’s current home in Islington, when it was still an unfashionable place to live. Although her terrace is now considered rather grand (Boris Johnson lives a stone’s throw away), Nina told me she understood they were originally built for the servants and mistresses of those who lived on the better side of Islington. On 1oth May 2002, Nina and Austen boarded a train at Kings Cross to got to Cambridge for a friend’s birthday party. They never arrived. The train derailed at over one hundred miles an hour and Nina’s carriage detached itself, rolling perpendicular to the direction of travel and entering Potters Bar station to straddle the platforms horizontally. Austen was killed instantly and Nina was cut from the wreckage at the point of death, with every bone in her body broken. In total, seven people died and seventy were injured that day. After multiple surgeries and, defying the predictions of her doctors, Nina stood up again through sheer willpower, walked again and returned to live in the home that she had shared with Austen. In grief at the loss of Austen and no longer with his emotional support, Nina found herself exposed in a brutally politicised new world, “I suppose I am lucky to have lived so long believing that most men are for the most part honourable. And lucky to have taken a profession in which owning up and telling the truth is rarely a financial disadvantage” she wrote. Nothing in her experience prepared her for the corporate executives of the privatised rail companies who refused to admit liability or even apologise in case their share price went down. It was apparent at once that the crash was caused by poorly maintained points as the maintenance company had cut corners to increase profitability at the expense of safety, but they denied it to the end. Refused legal aid by a government who for their own reasons deemed the case of the survivors seeking to establish liability as “not in the public interest”, it was only when Nina stepped forward to lead the fight herself, setting out to take the rail companies to the High Court personally, that they finally admitted liability. If Nina had lost her case, she risked forfeiting her home to pay legal costs. But after losing so much, inspired by her love for Austen, Nina was determined to see it through and, in doing so, she won compensation for all the survivors. Sometimes extraordinary events can reveal extraordinary qualities in human beings and Nina Bawden has proved herself to be an extraordinary woman, remarkable not only as a top class novelist, but also as a woman with moral courage who risked everything to stand up for justice. It is one thing to write as a humanitarian but is another to fight for your beliefs when you are at your most vulnerable – this was the moment when Nina transformed from writer to protagonist, and became a heroine in the process. Nina may not look like an obvious heroine because she is so fragile and retiring, but her strength is on the inside. Whenever I visit Nina, my sanity is restored. I walk home to Spitalfields along the canal and the world feels a richer place as I carry the aura of her gentle presence with me. Concluding our conversation in the study last week, before we went downstairs to enjoy our lunch, Nina smiled radiantly and said, ” I’ve decided to get on with my novel…” in a line that sounded like a defiant challenge to the universe. What a wonderful tribute to such a remarkable woman. What a lucky person you are to have such a friend. Pleased also to read about the biography of Kaye Webb. I wasn’t a Puffin Club member myself (I’m not from a book reading family) but my 8 year old daughter is into her second year of enjoying the revived Puffin Club. And only last week my ten year old son asked if we could read Carrie’s War next (he’d read an excerpt at school). Heard something on the radio recently about how you shouldn’t stop reading bedtime stories to your kids too soon. My three (the eldest is 12) still all insist on being read to each night. Its a real pleasure when there are authors of Nina Bawden’s calibre to read. Current favourites with my three are Jeanette Winterson and Eva Ibbotson. But there are so many! How completely lovely. A wonderful tribute. May I thank you for this introduction to an extraordinary lady. I am definitely going to hunt up her books at my favorite library. This library is the New York Society Library, a place that you may already know. I think you would like it. Yes indeed, a wonderful tribute. May we all live with such strength and integrity. What an inspiring lady. I enjoyed reading Carrie’s War and also enjoyed reading it to my class when I was teaching. What a brilliant interview! It was like a three-act drama, I was on the edge of my seat the whole time. I just found your blog, which was mentioned on the Dove Grey Books list (dovegreybooks@yahoogroups.com), and I’m in love. There are so many fascinating blogs written that you can’t read too many or your real life will disappear into your cyber life, but yours takes me into a longed-for aspect of the world so beautifully, I am going to follow you for purposes of edification and delight! I’m a California/New York author, Austenite and cat slave, and will link your blog with mine if you don’t mind (lightbrightandsparkling.blogspot.com). Nina is a heroine in good times and bad, and very kind. I met her and Austen in Toronto at a literary festival where she and I were both reading and we became friends. When my parents – Hugo’s grandparents – were killed in a car crash they were the first people to ask me round to dinner, I was in a very sad state and wore one of my mother’s dresses – miles too big for me – and must have looked weird. People sometimes avoid other people’s troubles, but not Nina and Austen. I used to go and see her when she was first on her own, back from hospital, but never see her these days because we live far away from London. I think of her often, though she doesn’t know that. Maybe she does now if she reads the gentle author. A woman of rare grace. And the photo — even her scarf is graceful. How fortunate you are to keep such good company. I met Nina Bawden only once, when I was hoping that my adaptation of one of her children’s books would make it to the TV screen. But she is someone you don’t forget, a wonderful writer and person. Nice to read about her and to learn that she’s doing well. What a lovely blog this is! I’ve only just discovered it. I would like to thank you very much for this incredibly useful blog, i am doing a school project and this informed me very well. I got an A*, thank you for all your help! your books held me in thrall, in a wonderous magical place when I was a girl. I still have all the books and I remember the battles, the hopes, the dreams of the children and adults you wrote about.Now, I would like to invite you to buy a book from the Edinburgh Co-operative of Writers: short stories and poems all about Edinburgh old and new. Please see the website above. Ghost stories, love stories, poetry, a tale of an ex-pat tracing his ancestors, a tourist searching for a hairy haggis creature. Your writing is a treasured gift, i’d like to return a gift to you of a sort and in so doing you help struggling writers! I was sad to hear of Nina`s death today. I admired her enormously and was greatlyy influenced ny her writing in my career as a teacher.I ran a Chidren`s Book Society when I was a student and will always remember the day when Nina accepted my invitation to dinner and then gave a stimulating talk on children`s books to an audience of eager students. I treasure the signed copy ofThe Witch`s daughter which she gave me.